A busy year in racing for Maserati. 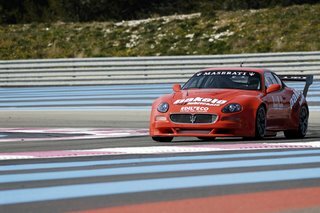 Maserati has a busy 2006 lined up, competing in the FIA European GT3 Championship and Italian GT, while still running a full Trofeo series. The first race of the 2006 Trofeo Audemars Piguet Maserati Europa season was run this past weekend at Monza. The race was won by Alberto Cerrai, winner of the 2005 Trofeo Maserati. The next race up for the Trofeo series will be held at Silverstone on May 7th, opening weekend for the FIA GT International Championship races. Joining the FIA GT3 class this year is a brand new GranSport race car. This car is currently undergoing final testing in preparation for the May 7th debut at Silverstone. 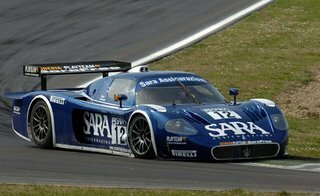 In addition to the Trofeo and GranSport, the MC12 is currently competing in the Sara GT Italian Championship. The first round was held at the historic Italian circuit in Imola over the weekend of March 26th. Two MC12s took part in the race, with the Playteam Sara Free car taking the win. 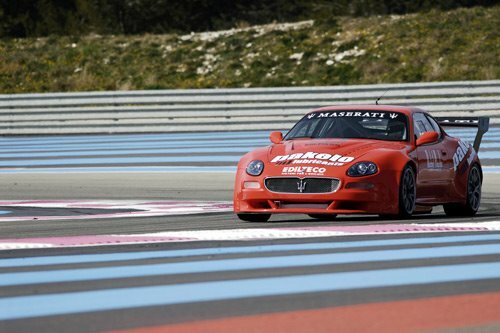 The next Italian GT race is scheduled for May 14th, at the Misano Adriatico circuit.